I really like your combination and you are totally right about the skirt. 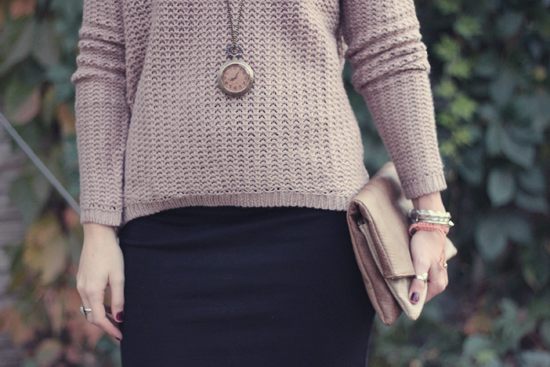 It’s goes perfect combined with this knit. Ooooh I love that sweater and necklace. The outfit all over is gorgeous, but those two pieces are just serious standouts for me. I love when people do that. By love, of course, I mean ‘hate’. Especially when they just. keep. staring at you. It makes me want even more to go back to the original spot, haha. I love this whole combo! Very cute! Having people around when we’re shooting is DEFINITELY something we’re getting used to.. slowly. It just feels so uncomfortable! Such is the life of a blogger, I guess. I love this look also – that sweater looks like heaven. That hat is wonderful too. I love hats but I struggle to justify wearing them, as I’m inside most of the day! Okay, stop it. You are gorgeous and this outfit is perfection. Lovingggg the hat, so so much, and I agree about the “club” skirt and the sweater. It works so well for a laid-back, daytime outfit!! I love love love this outfit! I have a big brimmed oxford blood color hat like this! 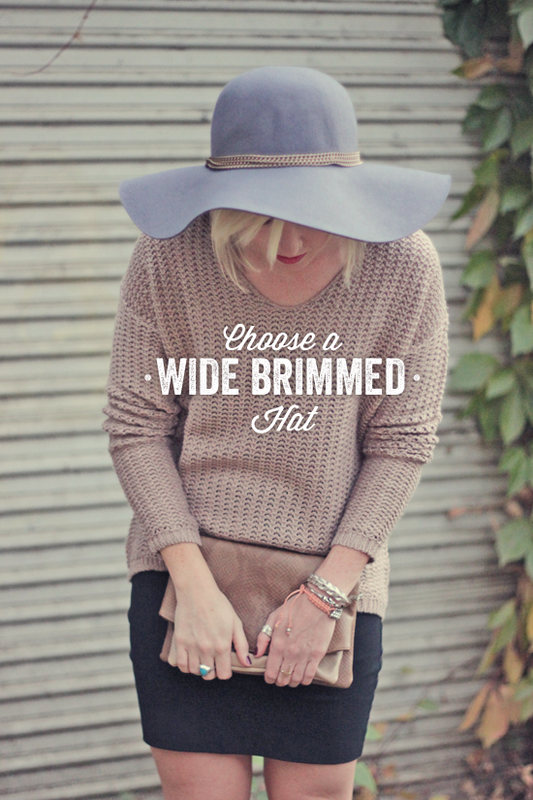 But I love how you styled the hat with a cozy over sized knit and pencil skirt! I have some serious hat-envy (if that’s even a thing) right now. Your outfit is awesome, but that hat totally rocks! I really love your sense of style. I’m glad you commented on my blog, since now I’m following yours! Love the hat and outfit is rad. Now I need to find a hat like that in Australia! Its so annoying when people stare, but they are still great photos.